i(and my family) decided to make a trip to USA to attend an ID Tech camp, for two weeks! I just have to say that it was great, fun, and i learned myself and some code. What i mean with i learned more about myself is that before in time, from early ages in my life, i coded a lot, and still do, because i love it. But, i didn’t know if i was behind the world, or fairly positioned with the world, or actually ahead of the world. My final project for c++(one course) was a 2d shooter where the level was randomly generated, and there was always one enemy, and one player(you), and he was shooting at you, and you had to go to the end of the level, and then a new level came, so basically survival. I guess it was pretty cool, but unfortunately i couldn’t use a project which i have been working for quite a while now(I will post it later), because i already had worked on it, which is understandable. 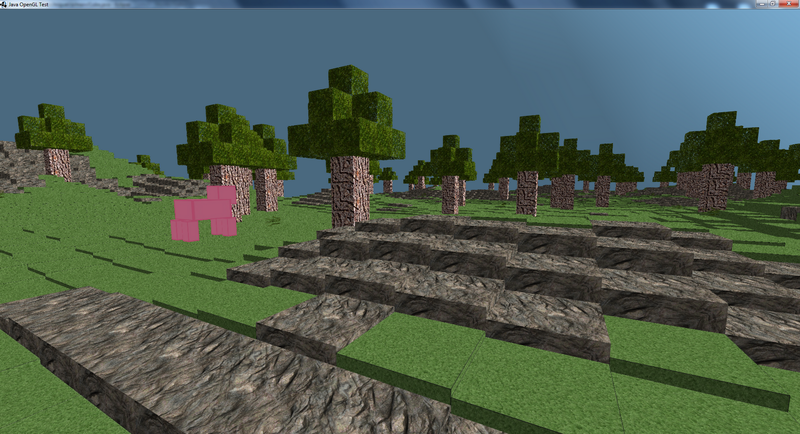 Now the Java project was really interesting, it was made in 3 days(and in that week, a day camp), it was a 3d mini version of Minecraft, with a freaking PIG! finds a new destination, randomly. This was all entirely made in OpenGL, but now I’m porting it to Directx and c++ because that’s where my real experience is! The reason why my java project was much better is because i had no clue what to make from the start of the camp. If any of you instructors are reading this, thank you so much, thank you for everything! If you want to know anything, please comment me.